 At PEM Construction, our Chicagoland interior painting contractors specialize in staining, painting, wall repair, ceiling repair, and wallpaper removal. Preparation is key in all painting projects. Our painters will cover carpets, remove wall hangings and move and cover furniture. We work with you to decide what types of paints and colors meet your decorating needs. Additionally, after each painting project is completed we place everything back in its original location. For your home's interior house painting, design and durability are important factors. You want to make sure the job works well with your interior decor, is done neatly and completely, and without damage to your ceilings, floors, woodwork and furnishings. PEM Construction will help paint both the interior and exterior of your Chicagoland home, and eliminate any problems or stress for yourself. As a professional painting contractor we can provide you with all types of Interior Painting services like Interior House Painting, Room Painting, and Inside Painting to name just a few. Our professional Interior Painting team is bonded, licensed and insured. We carry liability insurance and worker's compensation coverage. PEM Construction will make sure your belongings are protected and your family is safe as we complete your Interior Painting project. Let us do the work; there is no need to get your hands dirty and we do the job right, the 1st time! We provide excellent long-term value by hiring the best Chicagoland area Interior Painting Contractors and providing high quality paint jobs. You'll have confidence when the job is started and complete satisfaction when it's done. We will go above and beyond to please you so we can add your name to our long list of satisfied Interior Painting customers in the Chicagoland area. When completing your Exterior Painting project, proper surface preparation is crucial for achieving a long lasting paint job. A thorough cleaning to remove dirt and mildew is the first step in preparing exterior house painting surfaces. PEM Construction knows what it takes to create a custom exterior painting project that will beautify your home or office and transform your vision into a reality - and we do it right, the first time! All loose paint and defective caulking should then be removed. Any rotted boards should be replaced, and all new and bare wood primed. Gaps between adjoining wood, or wood and masonry, should be caulked with a powerful sealant. Hardware and light fixtures which are not to be painted should be removed or properly protected, and all plants should be moved or covered. At PEM Construction, we use the highest quality exterior painting products regardless of whether your siding is aluminum or wood because it produces the best results. We can spray, brush or roll depending on the type of siding and paint to be used. Painting the exterior of your home is a huge job that should be left to a professional painting contractor. Safety, quality paints and years of experience are just a few reasons why you should contact our company for your exterior painting jobs. 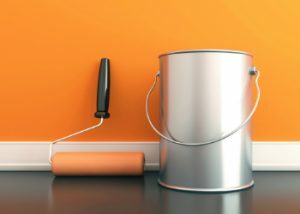 As a Chicagoland professional painting contractor, we can provide you with all types of Exterior Painting services like Exterior House Painting, Outside Home Painting, and Exterior Wall Painting to name just a few. Our professional Exterior Painting team is bonded, licensed and insured. We carry liability insurance and worker's compensation coverage. PEM Construction will make sure your belongings are protected and your family is safe as we complete your Exterior Painting project. Let us do the work; we do the job right, the first time! We provide excellent long-term value by hiring the best Chicagoland area Exterior Painting Contractors and providing high quality paint jobs. You'll have confidence when the job is started and complete satisfaction when it's done. We will go above and beyond to please you so we can add your name to our long list of satisfied Exterior Painting customers in the Chicagoland area.